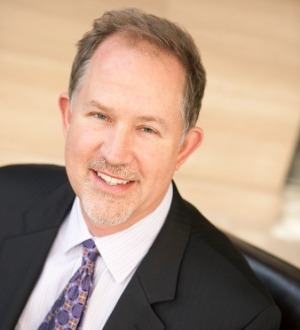 Randall (Randy) G. Ray is a partner in the firm’s corporate law group. He has over 30 years of experience working on corporate and securities matters for a wide variety of clients, including public and private companies, boards of directors, board committees, executive officers, underwriters, private equity firms, and investors. Randy assists clients with corporate finance through public and private offerings of equity and debt, securities reporting and compliance (including Sarbanes-Oxley compliance), mergers and acquisitions, and executive compensation matters. He also counsels boards of directors, board committees, and executive officers on corporate governance and executive compensation matters. Randy’s clients operate in a diverse range of industries, including technology, retail, telecommunications, hospitality, and manufacturing, and range in size from start-ups to large public companies. Randy’s experience with securities law matters includes private placements, initial public offerings (representing both companies and underwriters), follow-on offerings of equity and debt securities, Rule 144A debt offerings and related exchange offers, tender offers for equity and debt securities, public company mergers and acquisitions, including merger proxies and securities registrations, and SEC reporting and disclosure obligations. Randy also advises public companies, boards of directors, board committees, and executive officers on corporate governance, including Sarbanes-Oxley compliance and executive compensation matters. Randy is a frequent presenter on topics related to corporate and securities law.